Cute outfit for seeing Disney around Easter time! 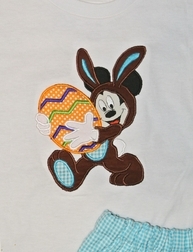 Here we have Mickey appliqued on a white shirt wearing an Easter bunny outfit and carrying a big Easter Egg. 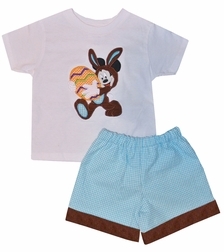 The shirt is paired with turquoise gingham with brown cuffs shorts.